As most people know Swatch AG is a Swiss corporation that sells watches, clocks and jewelry. It owns three United States registrations for the trademark SWATCH. It filed a Notice of Opposition against Beehive Wholesale, L.L.C. 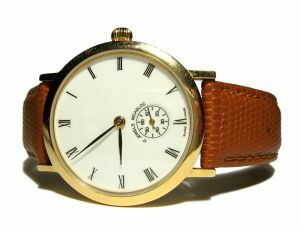 Beehive is in the wholesale and retail business, selling multiple goods, including watches and watch parts. It sells these watch parts and products under the trademark SWAP. Beehive’s watch line includes interchangeable components, hence the mark SWAP. Swatch AG opposed Beehive’s application on the grounds of mere descriptiveness, likelihood of confusion, and dilution. The Trademark Trial and Appeal Board (“TTAB”) dismissed the opposition on all counts. Swatch dissatisfied with the Board’s finding, sued in District Court in Virginia. See Swatch, S.A. v. Beehive Wholesale, L.L.C., Civil Action Number 1:11-cv-434 (E.D. Va. August 16, 2012). Swatch filed this civil action pursuant to §1071(b) of Title 15 of the United States Code. This section allows a trademark litigant to file a civil action instead of filing an appeal of the TTAB decision with the Federal Circuit. In this type of action, the District Court reviews the matter de novo. Swatch brought causes of action for trademark infringement and unfair competition under federal and state statutes and also a federal cause of action for dilution. The District Court of Virginia held that the TTAB’s decision was supported by substantial evidence and found no likelihood of confusion or dilution. The TTAB and the District Court held that the marks SWATCH and SWAP were dissimilar in sight, sound and meaning and this was supported by substantial evidence. The evidence relied on were the trademarks, as well as definitions from the dictionary. Swatch argued that the District Court did not give enough weight to the “SWA” portion of the mark. However, this was not a persuasive argument because the analysis requires the fact finder to compare whole words not parts of words. Lastly, The TTAB, as well as the District Court found that there were significant differences in trade channels for the two marks. Beehive directed its advertising to wholesale customers through magazines and trade show appearances, while Swatch utilized television, social media and billboards primarily to conduct advertising. Swatch was unable to produce a single incident of actual consumer confusion about the origin of the parties. The absence of actual confusion creates an inference that there is no likelihood of confusion between the marks. The District Court also held that there was no unfair competition and that Beehive’s mark SWAP was not merely descriptive. The Court had to make one of the hardest determinations that a fact finder must make in trademark law. It had to decide whether the mark was merely descriptive of a feature of the product or instead a suggestive trademark. This is decided by considering the meaning of the mark and the attributes of the product. Our firm frequently advises our clients to avoid using merely descriptive terms as trademarks. These common industry terms will be refused if they describe a feature of the goods or services. The District Court found facts sufficient to support its conclusion that the mark was not descriptive of the product. It was found that there was still some imagination needed to associate SWAP with the purpose of the watch. Finally, it held that there were facts based on evidence that were not presented to the TTAB. The District Court must admit the USPTO record if a party so moves. If this occurs, then the record is given the same effect as if it was originally produced for the civil action. Of course, other evidence may be submitted as long as it does not violate any of the Federal Rules of Evidence. If new evidence is submitted, de novo review of the entire record is mandated. The rationale for this is that the District Court cannot defer to the TTAB’s findings if they did not consider the same set of facts. Swatch appealed to the United States Court of Appeals, Fourth Circuit. See Swatch AG v. Beehive Wholesale, LLC Appeal No. 12-2126 (4th Cir. January 7, 2014). The Circuit Court held that the District Court utilized the proper standards for review of the matter. The Fourth Circuit gives considerable weight to TTAB findings (see our post entitled Should Federal Courts Be Bound by TTAB Rulings? discussing this issue), but the circumstances here dictated de novo review. The Circuit Court further held that even though SWATCH possessed fame, the other factors such as lack of similarities of the marks, lack of similar advertising, no actual confusion, and lack of bad faith, weighed in favor of finding no likelihood of confusion between the marks. The Fourth Circuit affirmed the District Court’s judgment.